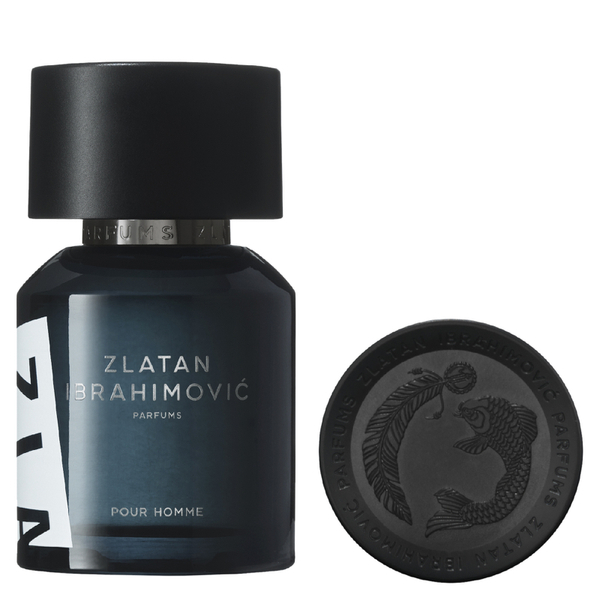 Internationally renowned footballer Zlatan Ibrahimović presents the Zlatan Eau de Toilette; a masculine fragrance that exudes spirit, strength and charisma. Expertly developed with perfumer Olivier Pescheux, the alluring fragrance opens with freshly cut Grass, juicy Bergamot and spicy Pepper, before developing into Lavender and Marine accords and settling on a rich, woody base of striking Leather and Vetiver. 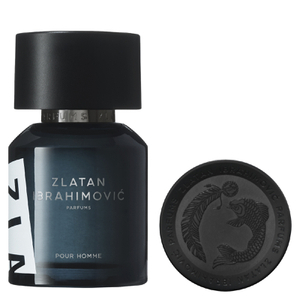 Housed in an ink blue bottle with a decorative cap that depicts iconic Ibrahimovic tattoos. Top Notes: Bergamot, Green Grass, Pepper. Heart Notes: Lavender, Marine and Sea Accords. Base Notes: Wood, Leather, Vetiver.